The end game of the 2030 Agenda is to create a better world for everyone. This means ending poverty and hunger, improving education and healthcare, while taking action on climate, peace and justice. With 17 goals, 169 targets, and over 230 indicators, it is one of the UN’s most ambitious initiatives. Yet, two and a half years on, progress remains patchy. Will the UN rise to the many challenges on all fronts? Will we truly ‘leave no one behind’? In this discussion with Helen Clark, former Administrator of the United Nations Development Programme, we will evaluate progress to date on achieving the agenda. 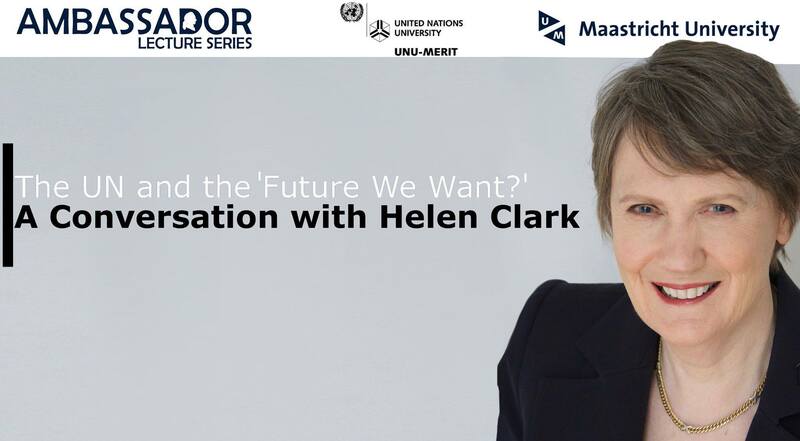 Ms Clark will speak with students, professionals and researchers on the role of non-state actors, the impact of innovation and technology, and challenges facing the UN both now and in the future. First come, first served for UM and UNU-MERIT community members (please present your UM card at the entrance).